SEATTLE, WA - Willie Nelson launched a hemp product line that includes CBD-infused coffee. 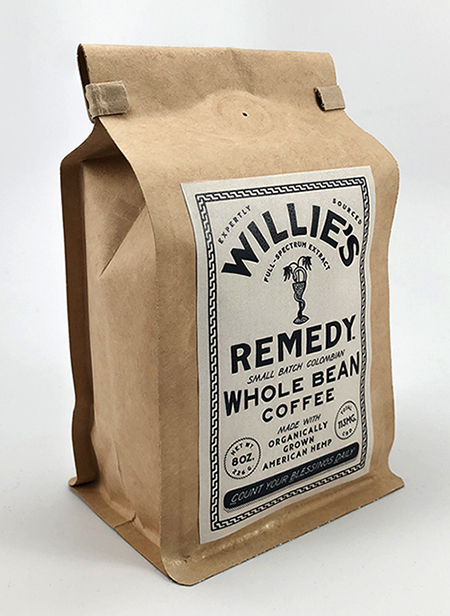 It’s the first product to be released in the Willie’s Remedy line from his brand GCH, a Colorado corporation. In South Dakota this week, a bill passed unanimously out of the House Agriculture & Natural Resources Committee that would legalize the growth, production and process of industrial hemp in the state. Legislators are also revisiting language in the state's regular update to the list of controlled substances after facing public pushback regarding the bill's scheduling of cannabidiol, often called CBD oil. The Senate Health and Human Services committee heard public testimony on Senate Bill 22 which updates the state's scheduling of controlled substances in accordance to the federal Drug Enforcement Administration. New from last year's list, SB 22 schedules CBD oil as a Schedule IV controlled substance. While cannabis and cannabis-derived CBD oil are federally classified as Schedule I drugs, hemp and its derivatives show no sign of psychoactive effects and contain only trace amounts of THC. They are not regulated by the DEA, but rather by the U.S. Department of Agriculture. Congress in December passed the 2018 Farm Bill, which legalizes the growth and production of hemp. The way SB 22 is currently written, all CBD oil would be classified as a Schedule IV narcotic, not just that which is derived from cannabis.